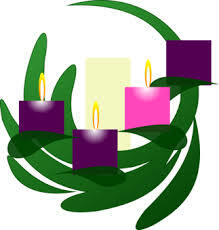 During Advent, many Christians who do not observe Advent practices, go immediately to consumer spending binges, and begin singing Christmas carols as if the nativity was already being observed. The Rt. Rev. Bishop David (Mahaffey, Orthodox Bishop of Sitka and Alaska has kindly consented to share his thoughts on these practices and what we’re losing in the process. It seems every year, as we approach the Christmas Holiday, we find it less and less a celebration of the coming of our Savior and more a commercial enterprise. This is not to say that I have a “bah, humbug!” attitude, not at all, but I seek a Spiritual meaning for this time of year. Aye, there’s the rub! I want to be “Spiritual”, but not religious. But what do I mean by being Spiritual and not being religious? How can I say such a thing, when I am the leader of the largest body of (Orthodox) Christians in Alaska? Aren’t we supposed to be “religious”? Again, it depends on what you mean by religious. Merriam Webster defines it basically as “the service and worship of God or the supernatural (1).” If that is all I was seeking, that is easily completed by attending services, and at Christmas time, there are many. There are Christmas Cantatas, Live Nativity Scenes, Candlelight Vigils, roaming carolers and singers; there’s Midnight Mass for some Faiths, Christmas Eve Vigils and Divine Liturgy for others (I still can’t get over the fact that some churches don’t even have services on Christmas Day unless it falls on a Sunday, but I digress). So, if I want to “satisfy” my religious experience, lots of things will fill the bill. Once done, I can go on with my other “needs” at shopping malls, and all. There are many people today who say they are “Spiritual” but not “religious”. I want to say here that while I agree with what they are thinking, I disagree that it is something I can fulfill on my own. For me, there is always the need for “the Other” in a spiritual equation. So, whether I am talking about Christmas, or any other major celebration of an event related to Christ, I am always seeking my involvement with the Other. So being spiritual means that I am meditating or contemplating on what it means to have God become a human being, to be incarnated in the flesh and blood that I am also clothed with, along with every other human being who was, is and ever will exist. I am not just interested in feeding my own soul but with joining in a nourishing “meal” with as many other persons as I can. I want to feed my Spirit and join with others who have the same or a similar understanding of the same motive. Let me offer a few reasons why this is so important to me. First, very few religions have ever even allowed that God could become a human being, he is simply God qua God, above and beyond everything and anything else that is involved with matter, with “stuff” that exists in our world. It is incomprehensible to those who hold to such an idea (ancient Greek philosophers, Muslims, Hindus, Buddhists, even some Jewish sects, etc.) that we could associate God with our world because it is a perishing world, finite, and surely God could not be a part of that. But in Christianity, not only to we believe this, we celebrate it and say our Salvation depends on it! coming of Christ and of His Theophany as well. share similar love for the Incarnation of our Lord, and are thankful for His love for us. 2. Major: Annunciation of the Virgin Mary, March 25; Nativity of the Virgin Mary, September 8; Entry of theTheotokos into the Temple, November 21; and Meeting of the Lord in the Temple, February 2 (Nativity ofour Lord – Christmas – is a given). Minor: Conception of St. Anne, December 9; Conception of St John the Baptist by Elizabeth, September 24; Nativity of St John the Baptist, September 23. This entry was posted in Church Visits Blog and tagged Advent, Bishop David Mahaffey, Christmas, consumerism, Orthodox Advent on December 9, 2018 by Chris Thompson.